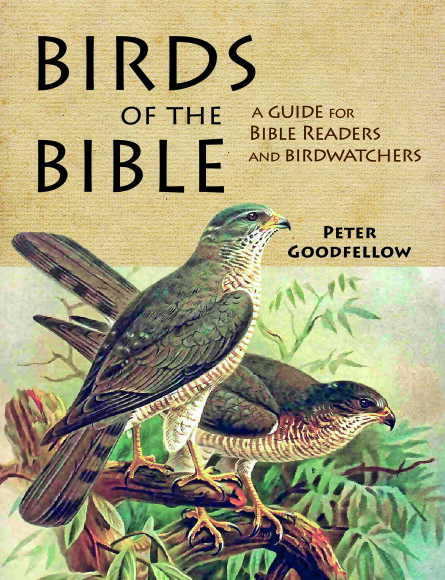 An engaging and informative study of all the birds mentioned in the Bible, relating the references both to Bible times and to birdwatching in the Holy Land now and, where appropriate, explaining the message or symbolism behind the references to birds, for the benefit of pilgrims and birdwatchers. The Prologue sets the scene by giving a simple description of the topography and climate in Israel, so that readers – wherever they are – may get a sense of what the place is like. The following chapters cover topics such as the creation of birds; bird migration; Job’s birds; birds and Jesus; and singing and nesting birds. Some species are written about in detail. Others, especially those whose identity is disputed, get less attention. Birds are mentioned repeatedly in the Bible. They play a big role in illustrating the authors’ intentions and in describing the characters in the stories. Illustrated with exquisite watercolours, this book reveals the significance and identity of all of the birds in the Old and New Testaments. Peter Goodfellow is a Methodist Local Preacher, has been a keen birdwatcher since he was a boy, and was a teacher until he retired – he’s put all three parts of himself together in this book. He is also the author of a number of several successful birdwatching guides and of “Avian Architecture” which won the 2011 Prose Award from the Association of America Publishers. Specification: 228 x 175mm (9″x7″), 160 pages, 40,000 words, 80 watercolour illustrations.